Second floor detail - side facing Idlewild Park. 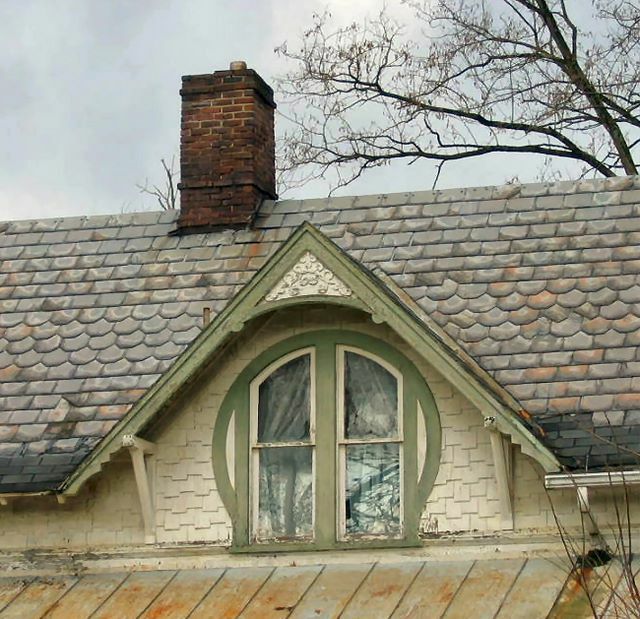 The chimney needs to be repointed, the slate roof is worn and the porch roof needs repair. The gutters also needed to be replaced.